Humans need a varied and balanced diet, which should include proteins, lipids, carbohydrates, vitamins and minerals. However, the modern diet is often unbalanced and unhealthy, which is only worsened by an increasingly sedentary lifestyle. Proper nutrition meets the specific needs of each stage of life and prevents disease development. 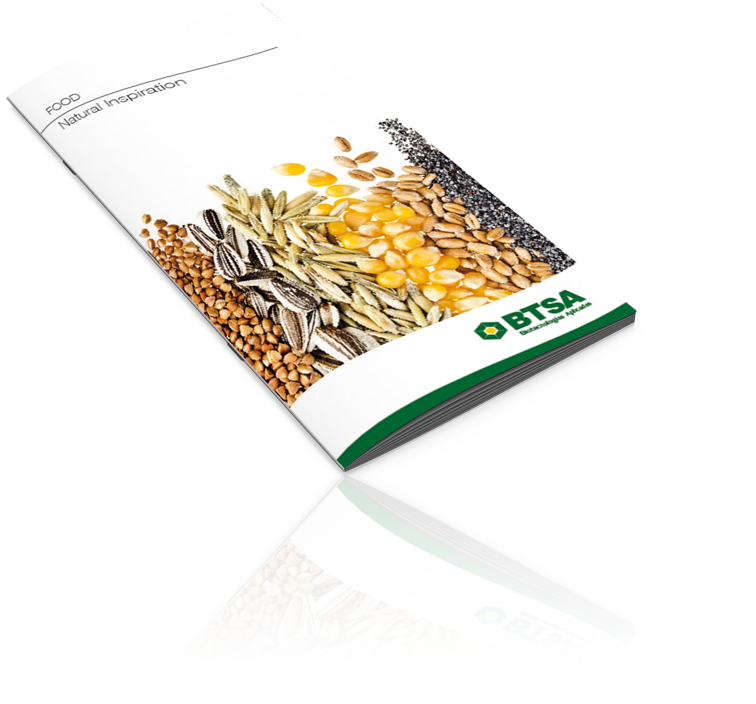 At BTSA we have developed a series of natural ingredients for the food industry in order to promote good nutrition for people, like natural antioxidants that increase shelf life of products (Natural Tocopherols) and active ingredients to enrich food (Natural Vitamin E and Omega 3). We have 22 years of experience developing natural ingredients and customized products, making us experts in the food industry. We also have sales offices in Spain, United States and Mexico, and a distribution network that allows us to now reach over 40 countries on five continents. In BTSA we have developed a range of natural and semi-natural antioxidants, and are always seeking greater efficiency for each type of application. Mixed Tocopherols from Non-GMO vegetable oil or sunflower oil. A 100% natural antioxidant, ideal for stabilizing fats and oils or for other food applications. BTSA’s range of active ingredients provides high-tech solutions, based on natural and stable products for safe and easy incorporation into any kind of product. Natural Vitamin E (D-Alpha-Tocopherol), from Non-GMO vegetable oil used in the food industry to fortify and enrich food applications and to be able to act as a source of Vitamin E.